Gold finished lower Friday yet scored its second weekly gain. Silver, meanwhile, rose on the day but ended down for a second week in a row. Platinum and palladium finished lower on the day and higher on the week. Gold for December delivery on Friday shed $5.60, or 0.5%, to settle at $1,222 an ounce on the Comex division of the New York Mercantile Exchange. "You still have headwinds coming from the U.S. Federal Reserve rate hike and a possible rebound in the dollar" Reuters quoted George Gero, managing director at RBC Wealth Management. "We need more (ammunition) for gold to move further as it has been very well abandoned with only a few central banks buying besides some retail buyers." Gold futures gained 1.4% this week after climbing 0.8% last week. On Thursday, they ended at their best point since Aug. 1. They are 6.7% lower on the year to date. "Fourteen market professionals took part in the Wall Street survey. Eleven respondents, or 79%, predicted higher prices by next Friday. There were two votes, or 14%, calling for lower prices, while one respondent, or 7%, looked for a sideways market. Meanwhile, 527 people responded to an online Main Street poll. A total of 355 respondents, or 67%, called for gold to rise. 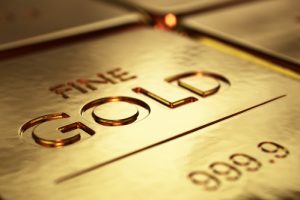 Another 99, or 18%, predicted gold would fall. The remaining 73 voters, or 14%, see a sideways market." Silver for December rose 2.9 cents, or 0.2%, to settle at $14.635 an ounce. Silver futures dipped 0.1% this week after slipping 0.4% last week. They are 14.6% lower on the year so far. January platinum declined $6.60, or 0.8%, to $840 an ounce, but still logged a 1.9% weekly gain. Palladium for December delivery dropped $14.40, or 1.3%, to $1,060.80 an ounce, paring its weekly increase to 0.4%. For the year to date, platinum is 10.5% lower while palladium is down 20 cents, or less than 0.1%. Gold rose $14.20, or 1.2%, to 1,219.75 an ounce. Silver added 20 cents, or 1.4%, to $14.60 an ounce. Platinum gained $14, or 1.7%, to $838 an ounce. Palladium rose $1, or 0.1%, to $1,084 an ounce. In LBMA weekly results, silver dipped 0.2% while the other metal prices gained — 1.3% for gold, 1.7% for platinum, and 2.2% for palladium. Gold bullion coins rose by 7,000 ounces this week after increasing by 7,500 ounces last week. Splits included 6,000 ounces in American Gold Eagles against 6,000 ounces previously and 1,000 ounces in American Gold Buffalos compared to 1,500 ounces previously. Silver bullion coins moved up by 260,000 ounces this week after climbing by 670,000 ounces previously. American Silver Eagles accounted for all sales in both weeks.